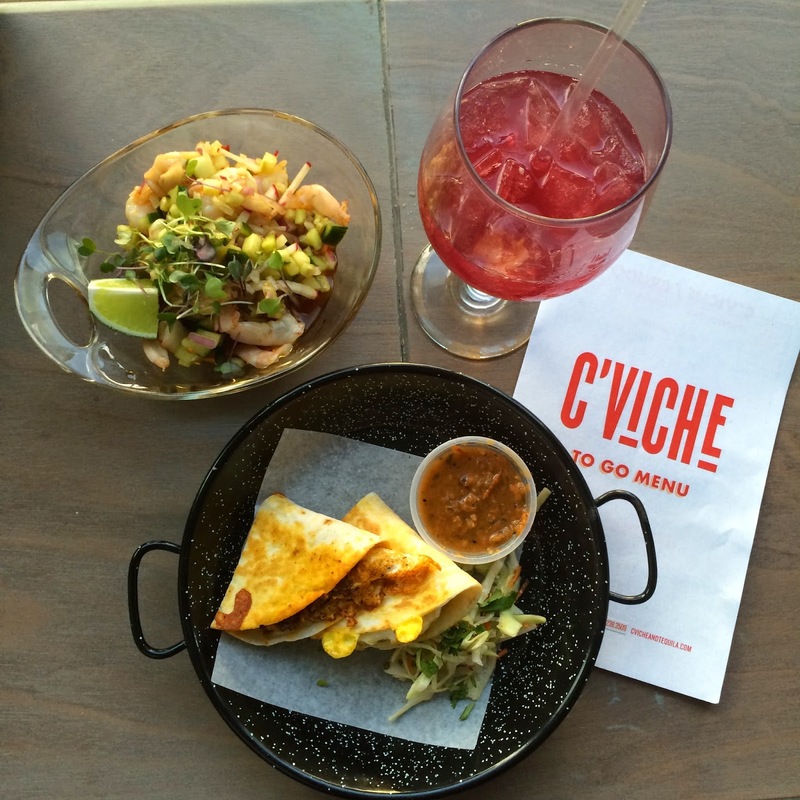 According to the very enthusiastic press release I got, C'Viche is "a new slice of heaven on lower Greenville Ave." Slice of heaven? That's a pretty big claim, so I decided to take them up on their dinner invitation and check it out for myself. The Latin-American style of food at C'Viche is all made in-house from the freshest ingredients and the place has a laid-back, casual vibe. According to owner Randall Warder, specialties include the Shrimp Aquachiles, featuring spicy jalapeño shrimp, cilantro, and pomegranate; or the Gulf Oyster Cocktail, with lemon, horseradish, tomato, onion, and jalapeño. If you want something smaller and less expensive, try Warder's signature Chicken Tinga (his family's favorite) or Fried Egg Tacos. DOn't overlook fantastic sides selections such as Street Style Sweet Corn and the Texas-inspired Avocado Fries. You can't go to a place called C'Viche and not have ceviche! You choose from an assortment of fish, scallops, tuna or shrimp -- prepared C'Viche or Crudo style -- in your choice of one of four inventive flavor styles: Baja with lime, tomato, onion, jalapeño, avocado, cilantro; Peruvian featuring lime, shaved red onion, corn, aji chile, and cilantro; Island with orange, lime, coconut water, mango, ginger, serrano, and basil or Asian including lemon, ginger, tamari, red chili, cucumber, red onion, and micro herbs. It's a hearty-sized bowl that you can eat as an entree or share with others as an appetizer. 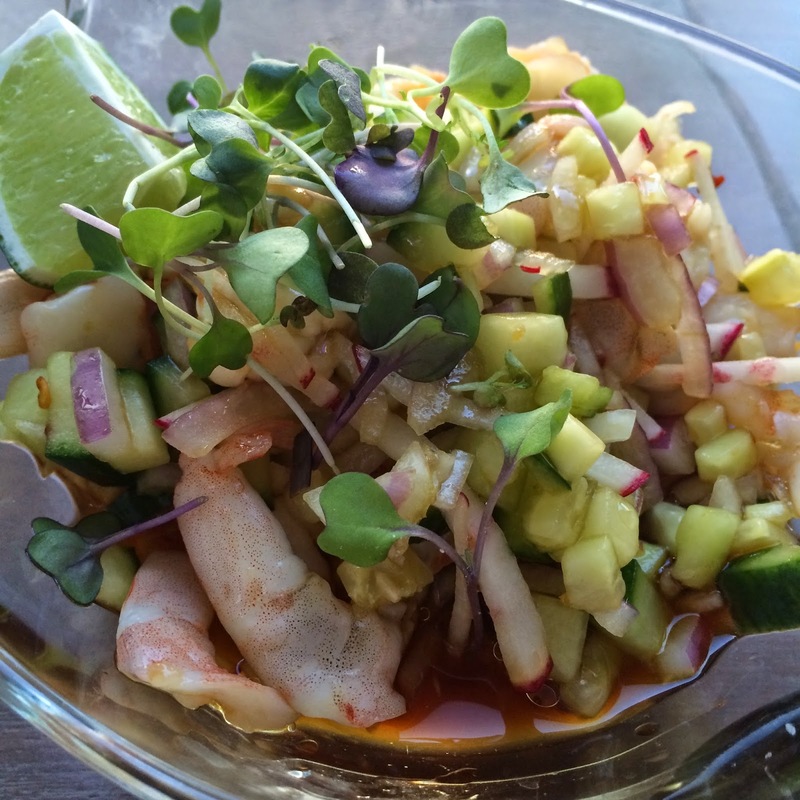 C'Viche's approach to fresh, flavorful seafood is a welcome reprieve for those who are health-conscious, whether they are looking to stay low-fat, low-carb or gluten-free. "When I lived in Mexico, what really stayed with me was how good, fresh fish paired with hand-squeezed juices from fresh-picked fruits and vegetables made such a difference when creating this mix of flavors," explained Warder. "This is a way of life to people along the coast in the Latin American culture, and I'm excited to bring to Dallas not only the tastes but also the lifestyle that goes along with that -- laid-back, cool, eclectic and memorable." Now, on to the cocktails... The cool, eclectic mix of spirits at C'viche include hand-picked tequilas, boutique rum, cachaça and pisco. The cocktail menu at C'Viche was crafted to highlight the strengths of these great spirits and features cocktails that are made fresh, hand-shaken from fresh squeezed juices. Sample the spirits straight, chilled, or in flights mixed your favorite way. A selection of local craft, Mexican and South American beer is also on tap. I recommend the Sangarita. It comes on the rocks and was a great combination of sweet and tangy. Don't miss Margarita Monday Madness, where house margaritas are $3 all day. C’Viche is located at 1922 Greenville Ave. in Dallas, Texas. The restaurant is open for lunch at 11:30 a.m. daily and closes at 10 p.m. Sunday thorugh Thursday, staying open until midnight on Fridays and Saturdays. Happy Hour is from 3-7 p.m. Monday through Friday. Convenient, free parking is located in front of the restaurant or in a lot across the street.